I hate what I see; I hate it all. I got into working out and lifting weights about three years ago during my junior year of college. I started out as a pre-physical therapy major and due to my inability to retain any sort of knowledge in regards to math and science, I switched to Mass Communication. However, I was always relatively fit. Now, somehow the scale jumped up 20 pounds heavier than what my normal weight usually is. I normally don't abide by the scale, (which is why I refuse to own one) but I could tell by what I see in pictures and in the mirror that I've let myself go. I'm a big girl. I've always been the thicker friend. My dad is 6'3, my mom is 5'7", and I almost peak at 5'9". I played all kinds of sports and have had a more athletic, bulky build. Ain't nothing about me that is dainty, and I was ok with that. But seeing what I see now in the mirror terrifies, it depresses me in a new way I've never felt before and in a way that normal girl insecurities never affected me. I always wanted to lose a few more pounds, but I used to genuinely be happy about the way I looked and about the size that I was. Now, I'm bigger than that size and this is new to me. This is why I am starting this journey-my journey to a healthier soul, mind, and body. The one thing good that this weight gain has given me is the opportunity to truly love my body as it is right now, (even though I don't like it) and to love it enough to discipline it with whole foods and physical exercise. As a parent, it isn't good to indulge the child all the time. As a human, it isn't good to indulge my body all the time. As I sip my red wine and write this, I raise my glass to all of you. All of you who have looked in the mirror and cried, who have looked at your pictures and been discouraged, who have starved yourselves in order to make a change, who have binged then purged because you felt so disgusted with yourself - I raise my glass to you. I have been there - RECENTLY. I raise my glass to y’all and want y’all to know I can relate, and I want y’all to be strong. Don't starve yourself, don't throw it up, and don't throw in the towel. Love yourself and more importantly, love yourself enough to change. We got this. I raise my glass to all of us on a journey to a healthier mind, soul, and body. 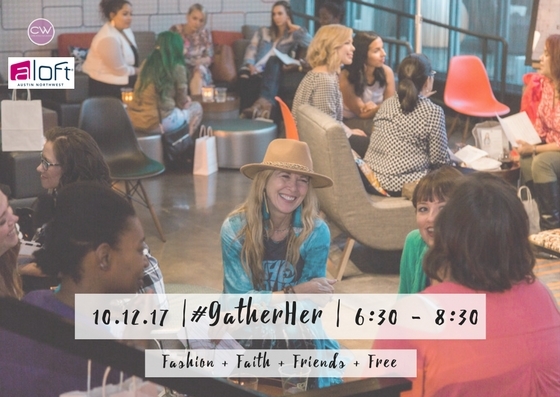 Enjoy an evening with women just like you who want to explore their faith and love all things fashion! ~ Bar is available for purchase. ...whatever is true, whatever is noble, whatever is right, whatever is pure, whatever is lovely, whatever is admirable--if anything is excellent or praiseworthy--think about such things.